SUFFOLK PREMIER is located at 3 SUFFOLK ROAD in district 11 (Chancery, Dunearn, Newton) of Singapore. SUFFOLK PREMIER is a Freehold Condo development consisting of 41 units. Educational institutions like ST JOSEPH INSTITUTIONAL INTERNATIONAL, SAN YU ADVENTIST SCHOOL, INSWORLD INSTITUTE, ANGLO-CHINESE SCHOOL (JUNIOR), FARRER PARK PRIMARY SCHOOL and ANGLO-CHINESE SCHOOL (PRIMARY) are near to SUFFOLK PREMIER. 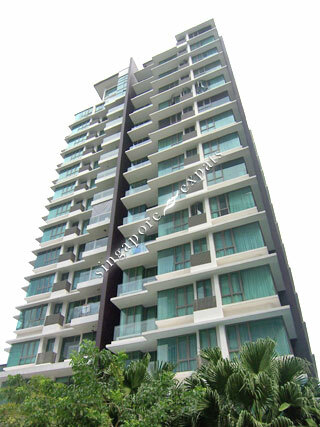 SUFFOLK PREMIER is accessible via nearby NOVENA, NEWTON and LITTLE INDIA MRT Stations. This is a lovely place that gives a serene stay yet within close proximity to all the amenities of urban Singapore. Reasonable rental compared to some of the newer condos in the Novena area. Due to the few units here, there is lots of privacy and I have literally the whole pool and gym to myself on some days. Suffolk Premier is only 4 years old development & located close to all amenities (like MRT, Cold Storage, Restnt, Eatries, Pubs etc) & mins to Orchard or CBD area. Room size are very good & comes with a balcony. Truly one of the most value for money condominium in Newton & Novena area.